Dental Implants Bangkok At Smile Inter Dental Clinics. BANGKOK SMILE DENTAL CLINIC @ Sukhumvit 5 Implantology. Our teeth are not only essential for life as chewing tools, they are the gateway to how other people form their first impressions of us. They are also an important element for the creation of a harmonious facial expression, and thus contributing to our personal confidence and charisma. Distinct, unmistakable facial expressions and untroubled laughter are determined to a great extent by the appearance of the teeth. 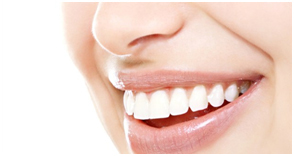 Healthy and cared for teeth are a vital requirement for our aesthetic appearance and clear enunciation. We communicate not only with our voice but also our expressions, in particular with our smile so we cannot under estimate the importance of an attractive smile. It is worth remembering, your smile can speak volumes! At BANGKOK SMILE DENTAL CLINIC @ Sukhumvit 5, Bangkok, we have a dedicated team of highly trained specialists in dental implantology. Through our patient orientated ethos, at our center of dental excellence, we can offer the very best dental implant service backed up by the most up to date skills and technology. We constantly monitor new advances in this field and embrace any technological steps that can improve the treatment we offer to our clients. This ensures that you, our valued client, will receive the very best experience at our clinic of excellence. At BANGKOK SMILE DENTAL CLINIC @ Sukhumvit 5, Bangkok, our modern well equipped dental clinic is specifically designed, not only to create for you the perfect smile, but to maintain your overall dental health. At BANGKOK SMILE DENTAL CLINIC @ Sukhumvit 5, the route to your beautiful, perfect smile begins with a thorough examination conducted by one of our highly trained professional technicians. Because your dental health is as important to us as your perfect smile, we put a great deal of emphasis and effort into ensuring that you have a healthy smile that will last you a lifetime. The route to your perfect smile begins here atBANGKOK SMILE DENTAL CLINIC @ Sukhumvit 5, Bangkok. Our implants are of unrivalled quality and can be used to replace a single lost tooth or a number of teeth. 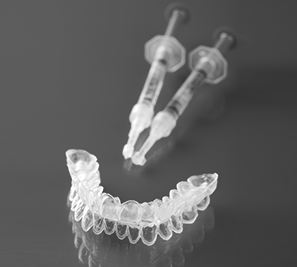 Implant supported replacement teeth look, feel and function like your natural teeth, they preserve the integrity of your facial structure and improve the look and function of your jaw and your smile. Once the screw-like fixture is safe, a technician will screw in the actual implant that is made to look, feel and function in the same way as your natural teeth. We, at BANGKOK SMILE DENTAL CLINIC @ Sukhumvit 5, Bangkok, are very conscious of the amount of time that will be required to spend in our clinic of excellence and so we have developed our processes and systems with this in mind. 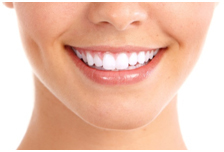 In many cases we can create your functioning, esthetically enhanced smile in just a few days. However, some clients may require more comprehensive reconstructive treatment which may take longer, but we still remain conscious of the amount of time that you spend at our clinic of excellence so we always endeavor to keep your visiting time to barest minimum and our superlative service helps us ensure that this happens. 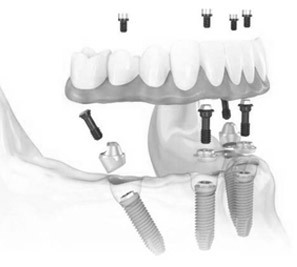 What are the benefits I can expect from implants? Naturally, there are many benefits of dental implants. Implants replace missing teeth. The benefits of implant treatment include improved appearance and self-esteem as well the enhanced ability to chew and enjoy your food, and often provide protection to your remaining teeth and jawbone. 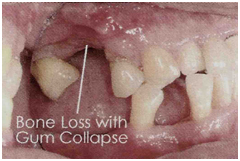 Tooth loss �what can be done? During the course of your life, teeth can be lost because of caries, gum disease, or accidents. A missing tooth is very visible and affects us aesthetically and functionally, our eating habits, our outward appearance and self-confidence are impaired and other people view us in a different way when they notice a smile with missing teeth. We know our clients wish to have a dental replacement which is as inconspicuous as possible, and which should correspond completely to the natural model, function and appearance of our natural teeth and which will be of the highest quality. Conventional methods � and their disadvantages. Natural teeth can be replaced by bridges or dentures. For bridges, healthy dental enamel has to be sacrificed by grinding the adjacent teeth. The gap in the row of teeth is then closed by an intermediate element. However, the lost dental root is not replaced, which has consequences for the jawbone, because this will "atrophy" with time �it lacks the pressure from chewing transmitted by the root, which normally stimulates it to constantly regenerate. Dentures lead to the erosion of the bone mass �an inescapable atrophy. Due to the bone erosion the dentures have to be constantly corrected or adjusted, this means more inconvenience and cost for the affected person. This can result in a poorly fitting denture which will impair functionality and esthetics. This can be to the detriment of the afflicted person�s quality of life who will become self-conscious of their appearance, and thus affect their social demeanor. 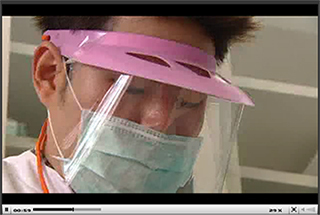 How do BANGKOK SMILE DENTAL CLINIC @ Sukhumvit 5 implants work? Our dental implants are an effective and permanent replacement for lost teeth. Due to their anchorage in the jawbone, dental implants form a stable foundation for the permanent attachment of the crown. Grinding of adjacent teeth is not necessary, and loss of bone tissue by atrophy is prevented, since implants, as "artificial dental roots", transmit the chewing forces into the jawbone. A single implant as root substitute is the most elegant way of achieving a cosmetically ideal closure of the gap. In a completely edentulous jaw, dental implants are a secure method of fixation for removable full dentures and so spare the patients the usual disadvantages and restrictions of conventional "false teeth". 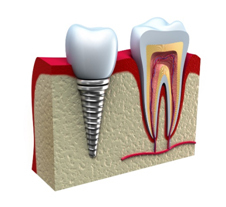 The dental implant is a screw-shaped buttress, which replaces the natural dental root. The implant is inserted in the jawbone, where it will be firmly embedded by the bone after an average of 6-8 weeks. 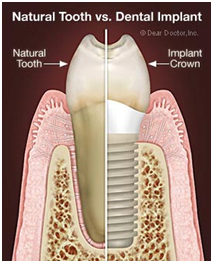 During this healing phase, dental implants are usually not covered by soft tissue, so a further surgical procedure is not required when the crown is attached. Our dental implants are made from commercially pure titanium. This material affiliates itself, without complications, with the body's tissues, no allergic rejection or reactions occur. Firm anchorage in the bone and harmonious adaptation of the gum margin to the implant body results in a solid foundation for reliable and long-lasting dental substitution. Am I candidate for BANGKOK SMILE DENTAL CLINIC @ Sukhumvit 5, implants? As a general rule any client that for any reason has lost teeth can be a very likely candidate for BANGKOK SMILE DENTAL CLINIC @ Sukhumvit 5, dental implants Bangkok. However, there are some important considerations that we have to take into account, primarily that you are in good health. It is possible that a client may have and existing condition or diseases which may affect a client�s suitability for dental implants. Some conditions of concern are, various forms of diabetes, some cancerous conditions, and radiotherapy on the jaw. In addition to these, tobacco use and the abuse of alcohol are also important factors that need to be considered. In addition uncontrolled periodontal (gum) disease may affect whether dental implants in Bangkok will fuse to your bone. It is vital that you make our BANGKOK SMILE DENTAL CLINIC @ Sukhumvit 5, Bangkok, dental surgeons aware of any medical conditions you may currently have, as well as any historical conditions, along with any medication you may be taking, be it prescribed, alternative (herbal) or over-the-counter. Where and by what method we use for any implant procedure requires our experts to undertake an examination of our high, exacting standards from which we can draw a precise assessment of your entire stomato-gnathic system , within which the implant must be able to function. This will necessitate the compilation of detailed records which will include precise models of your entire mouth and the mechanics of your bite. We will also produce detailed radiographs (x-rays), which will often include state of the art 3D scans known as CT scans, (computerized tomograms). Our computer imaging allows precise planning by our experts which ensures that we can set the dental implants in the bone with confident precision. A basic pre-requisite for implants is adequate bone structure, quality and volume, good dental hygiene and normal wound healing capabilities. Before implantation, the natural teeth are attended to and any gum disease is treated and eliminated. These are important parts of the overall procedure for long-term successful implantation as is conscientious oral hygiene and regular check-ups with our BANGKOK SMILE DENTAL CLINIC @ Sukhumvit 5, Bangkok dentists. How and why is bone lost when we lose teeth? implant dentalBone is an ever regenerating structure which requires adequate stimulation to maintain good health, form and density. In the case of alveolar which is the sac-like bone that surrounds and supports teeth, it is actually the teeth themselves that provide all the stimulation that is required. Along with the lose of a tooth the source of stimulation is also lost and this lack of stimulation will inevitably lead to the loss of alveolar bone. Astonishingly, there is a 25% decrease in the overall width of the bone structure following the loss of a tooth. The following years will see continued, significant degeneration in the overall structure of the bone. The loss of teeth will also, quite obviously, lead to impaired function. This will inevitably lead to problems physically and aesthetically which can become serious. This is particularly true for those people who have, for whatever reason, have a total loss of teeth. However the problems don�t stop there. Once alveolar bone is lost, the underlying bone beneath, the basal bone, which is the actual jaw bone, will begin to resorb, which means it starts to melt away. Our BANGKOK SMILE DENTAL CLINIC @ Sukhumvit 5, Bangkok, experts are all well versed in, all and any, potential conditions our clients may have in respect of implant compatibility and will advise accordingly. Bone can be grafted into the vacant extraction sockets as teeth are lost or removed which can help preserve the bone volume needed for implant placement. BANGKOK SMILE DENTAL CLINIC @ Sukhumvit 5, Bangkok, surgical techniques are so advanced we are able to regenerate bone that has been lost, thus providing the necessary bone substance for anchoring implants. In fact, a primary reason to consider dental implants for the replacement of lost teeth is for the maintenance of the jawbone. As has been stated before, bone requires adequate stimulation to maintain its healthy status. Because BANGKOK SMILE DENTAL CLINIC @ Sukhumvit 5, dental implants fuse directly onto to the bone, they stabilize it and prevent any further degeneration of the bone. 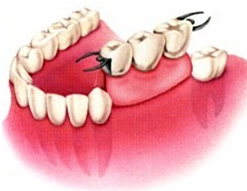 Resorption is an inevitable and natural process in which bone is lost when it is no longer part of a supporting structure or when it has no connection to your teeth. Only our BANGKOK SMILE DENTAL CLINIC @ Sukhumvit 5, dental implants Bangkok, can arrest the progression and preserve the bone. It takes an expert team of BANGKOK SMILE DENTAL CLINIC @ Sukhumvit 5, Bangkok� dentists and technicians to assess and precisely plan dental implant placement and restoration, the fabrication of the crowns, bridgework or perhaps dentures that will attach atop the implants and are visible in your mouth. Our dental team consists of a dental surgical specialist, a general dentist with advanced training in implant surgery, a periodontist, oral surgeon; a restorative dentist, who plans and places the tooth restorations all of which are supported by our high tech� in-house dental laboratory technicians that fabricate the implants. All of these experts are individually vital within the team due to their own particular skills. Placing dental implants is a technically very skilled, surgical procedure and is always carried out by our BANGKOK SMILE DENTAL CLINIC @ Sukhumvit 5, Bangkok, experts. During this precision procedure channels will be formed in the jawbone, usually using a surgical guide. The implants can then fitted into the precise location ensuring that they are in intimate contact with the bone. Generally speaking the implants will require two to six months to fully fuse to the bone before they can have any further tooth restorations attached to them to complete the process. Dental Implants Single Tooth Replacement: Immediately (at the same time an implant is placed) or after a period of healing, an abutment is attached to the implant. This is a device that �abuts� or joins the implant to a tooth form called a crown, which replaces the tooth part you see in the mouth. 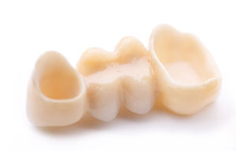 It will hold a custom-made crown that our laboratory will fabricate and match to your existing teeth. 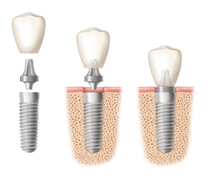 Dental Implants Bangkok As with single tooth replacement, temporary healing caps or abutments may be placed on multiple implants until the healing phase is complete. After healing, permanent abutments are attached to the implants by our BANGKOK SMILE DENTAL CLINIC @ Soi Sukhumvit 5, expert. They can attach to custom-made crowns or bridgework that our in-house dental laboratory will fabricate to match your existing teeth. In the final step of the procedure, the custom bridge, which will replace multiple teeth, is cemented or screwed onto the abutments. The teeth have now been replaced without disturbing the healthy teeth next to them, and the degeneration of the bone structure has been halted. Our modern techniques and highly trained experts help ensure that the overall mouth trauma and inconvenience to our clients is kept to a minimum. If you have lost all of your lower teeth, there are options as to the design and implementation of the removable restoration. 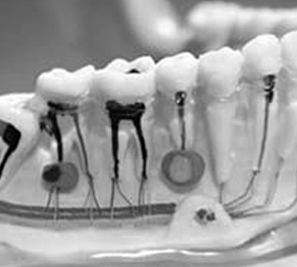 From two to six implants may be used as support for the lower denture. If the same problem exists with your upper teeth, a minimum of four implants are necessary to support the upper denture. 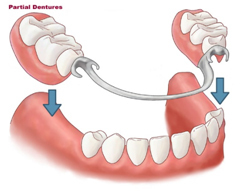 Removable dentures are commonly recommended after extensive tooth loss with the loss of bone and gum-tissue. This will provide the required support for the facial bone structure as well as the lips and cheeks. 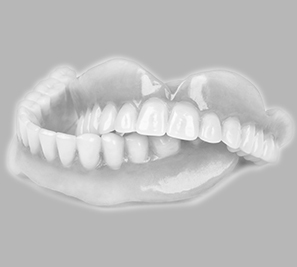 New dentures may be fitted with attachments which are designed to snap or clip it perfectly into place on the implants. 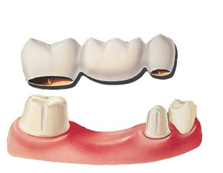 Alternatively, a custom made, milled bar can be fabricated by our experts at our in-house laboratory which will create significant additional strength to the integral structure which promotes the ultimate support for the overall restoration. Your individual bone density is an important factor in selecting the ideal implant design and our experts will assess each client on a case by case basis. Your BANGKOK SMILE DENTAL CLINIC @ Sukhumvit 5, Bangkok, expert will discuss and advise you of these options during your consultation. 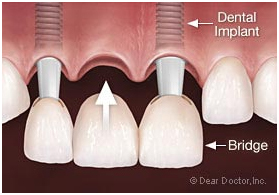 A significant advantage of a removable denture is facilitating the cleaning of the dental implants. Natural teeth and BANGKOK SMILE DENTAL CLINIC @ Sukhumvit 5, dental implants may seem to be facsimiles of each other, not only the way they look, but how they feel and function. But in reality they are very different. There are significant differences in the methods by which they are attached to existing bone, how they respond to dental diseases, as well as the maintenance, and repair of the implants. Dental Implants Teeth are attached to the jaw bone structure by a periodontal ligament which is made up of collagen fibers. These fibers attach directly to the tooth on one and to the bone. BANGKOK SMILE DENTAL CLINIC @ Sukhumvit 5, Bangkok, dental implants in Bangkok are securely fused directly to the bone structure. Collagen fibers also attach directly to the root of a tooth in the same way. Gum tissues on the other hand, can only adhere directly to the surface of a dental implant. All teeth are susceptible to the many forms of dental decay in addition to the necessity for root canal therapy. Our dental implants are factored using quality metals and so do not decay or require root canal therapy. Teeth are also susceptible to periodontal (gum) disease, however it must be understood that dental implants can be susceptible to peri-implantitis, which is an inflammatory response to bacterial biofilm of the tissues surrounding the implant, in some cases this can result in the disintegration of the bone to the implant. Your BANGKOK SMILE DENTAL CLINIC @ Sukhumvit 5, Bangkok, custom made crown is cemented or screwed onto the abutment to permanently keep it in place. Once your BANGKOK SMILE DENTAL CLINIC @ Sukhumvit 5, Bangkok, crown is in place, it should be indistinguishable from your natural teeth. At BANGKOK SMILE DENTAL CLINIC @ Sukhumvit 5, our implant crowns and other prosthetic (false) tooth replacements are of the most modern design and all our systems are incredibly failsafe. They can be removed or replaced by our experts, so should wear or damage necessitate replacement, our experts can undertake this procedure without affecting the implant or its attachment to the bone. With all that said, implants will require some degree of maintenance. It is vital to practice good daily oral hygiene, which includes brushing and flossing to control the buildup of bacterial biofilm. It is also important to visit your dentist and dental hygienist regularly. At BANGKOK SMILE DENTAL CLINIC @ Sukhumvit 5, we will advise and guide you on the dental care that you should follow. We utilize up to date, specialized instruments which are specifically designed to clean dental implants that will not damage the metal surface beneath the gum tissues. Our BANGKOK SMILE DENTAL CLINIC @ Sukhumvit 5, dentist will monitor your implants to make sure the integrity of the osseointegration is stable, and that the implant crowns, bridgework or dentures are functioning in the appropriate manner. Obviously we are all individuals, and our mouths and teeth are unique to each and every one of us. At BANGKOK SMILE DENTAL CLINIC @ Sukhumvit 5, we not only recognize this fact, but we embrace it and look upon all our clients as unique and individual. Due to this individuality each implantation represents a completely unique set of problems, and so the solutions are tailored to the special requirements of each individual case, it is not possible to give general guidelines concerning costs. Our implantologists will draw up a personal treatment and cost plan. 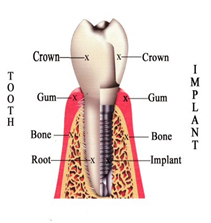 Implants are a highly elegant method of tooth replacement. We have many clients world-wide that can already report on the benefits of implant-supported tooth replacement from BANGKOK SMILE DENTAL CLINIC @ Sukhumvit 5, Implants are increasingly recognized and acknowledged as beneficial alternatives to the more conservative methods of tooth replacement with their described disadvantages. With conscientious care, which you will have been used to undertaking for your natural teeth for a long time, BANGKOK SMILE DENTAL CLINIC @ Sukhumvit 5, dental implants will provide you with a supurb functional and aesthetic service for many years. The gain in your personal quality of life is considerable and is of immeasurable value. Dental implants have been in use for over 20 years on a scientific basis, and they have been subject to the strictest quality controls in research, development, manufacture and sales from very begining. At BANGKOK SMILE DENTAL CLINIC @ Sukhumvit 5, we follow the ongoing advances in this science which enables us to maintain our position, with our experts and our laboratory, at the forefront of dental excellence. Q : What does it mean with Immediate Function? A : The term "Function" was selected as it reflects the clients� perspective of implant treatment: Teeth are functional and in "function" immediately after implant placement. Q : What are the indications? A : Candidates for any implant treatment where high implant stability can be achieved and the implant loading can be controlled in the same manner as for a conventional two-stage treatment. Q : What factors in treatment planning are important? A : There should be sufficient bone at the implant site to allow for a good initial stable foundation. It is necessary to assess other elements, i.e. avoiding extreme bruxers, unstable adjacent teeth, long cantilevers etc. Q : How does the soft bone react on immediate loading? A : If the special implant is used and if the initial stability criteria is met the implant is likely to have a good prognosis even in soft bone. Q : Does the surgical steps/site preparation differ compared to conventional implant placement? A : Firm initial stability is of utmost importance. This can be achieved by using tapered implants and/or under-preparation techniques for the parallel wall implants. Q : Isn't there a high risk with immediate function in fresh extraction sites if the extracted tooth was removed because of infection? A : If the socket is curetted and perfectly cleaned of soft tissue remnants and an adequate level of stability is reached, the prognosis is likely to be good. However, more clinical documentation is called for in this situation.